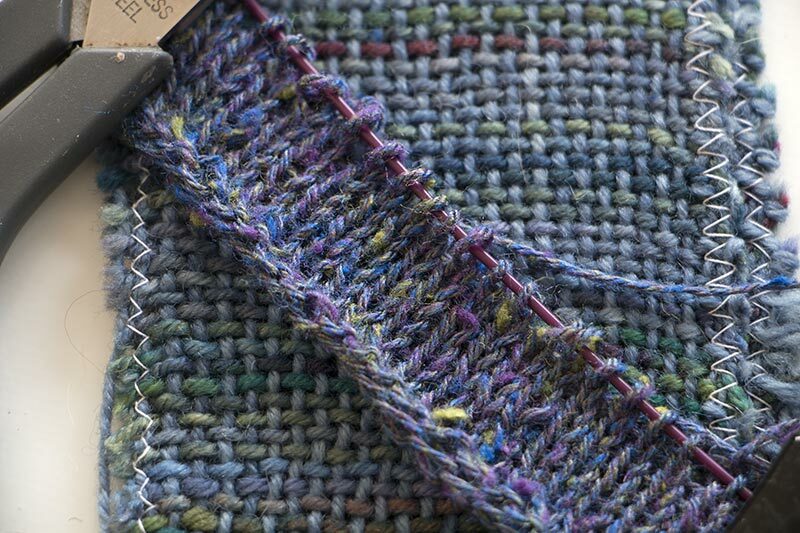 This is one of the first pieces I wove on my rigid heddle loom, using handdyed sock yarn. Originally intended as a summer top (for cool days) or vest, I never got past the sewing stage although I’d tried it on once. 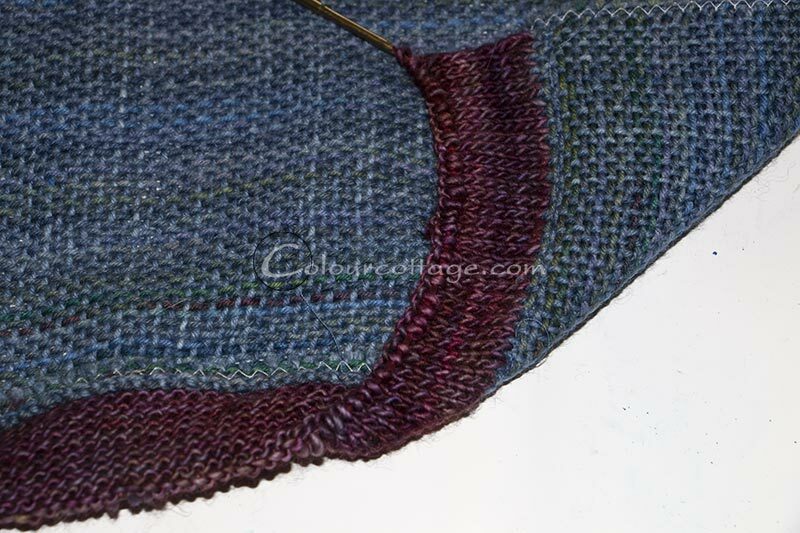 And to be honest, it was a bit too narrow even 18 months ago when I was slimmer (seems like it was years and years ago that I started weaving!). As you can see I’d even cut a bit off the length to add to the sides, but nah! I took it apart and let it simmer. I still like the colours a lot, though, so I thought I’d take another stab at it. This week was deemed “death of the UFOs”, because it’s nice to clear the clutter once in a while, and because the kittens keep climbing and clawing my shelves of sewing piles. First I needed to steam up the iron and hope those wrinkles weren’t permanent. I don’t usually leave my handwoven fabric scrunched up like that, but I’m sure you know what can happen to a repair pile over the years as you dig through it to find the least boring project or one needed urgently. 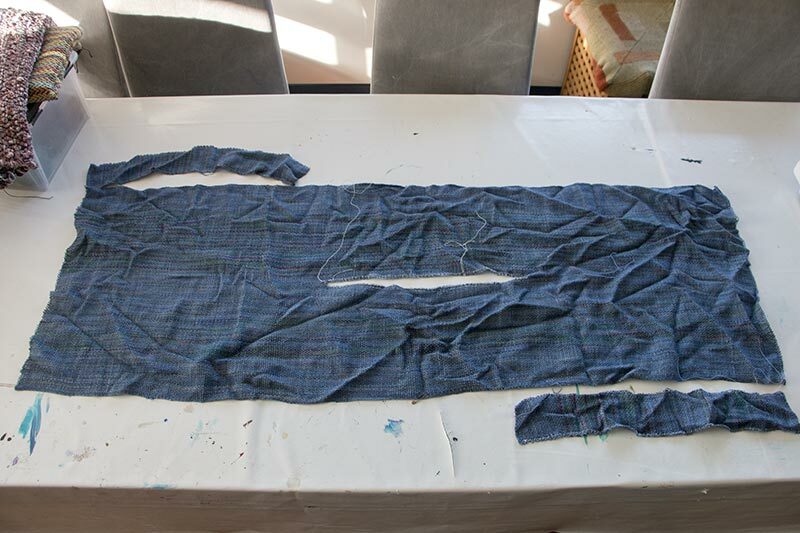 You shouldn’t iron your handwovens, at least not prior to sewing a garment. You press the fabric, lift, move, press, repeat. Otherwise your threads are getting skewed and when you think you’re cutting straight you’re actually not cutting along the grain. And then when you wear it, your shirt will hang crooked. 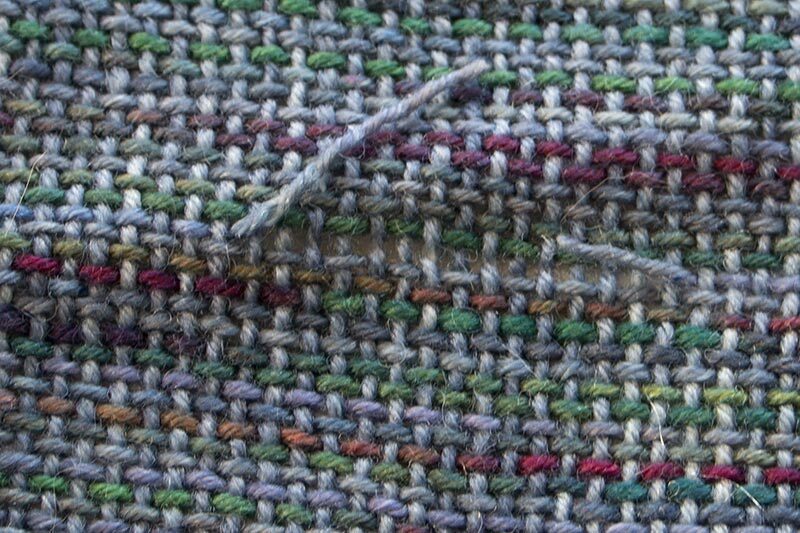 If you are in doubt, pull out a thread, cut along the gap and wet stretch your fabric until it is straight again, then sew. Or for shaped patterns, mark a grain line and sort it before cutting. I was in luck, sock yarn doesn’t retain wrinkles. 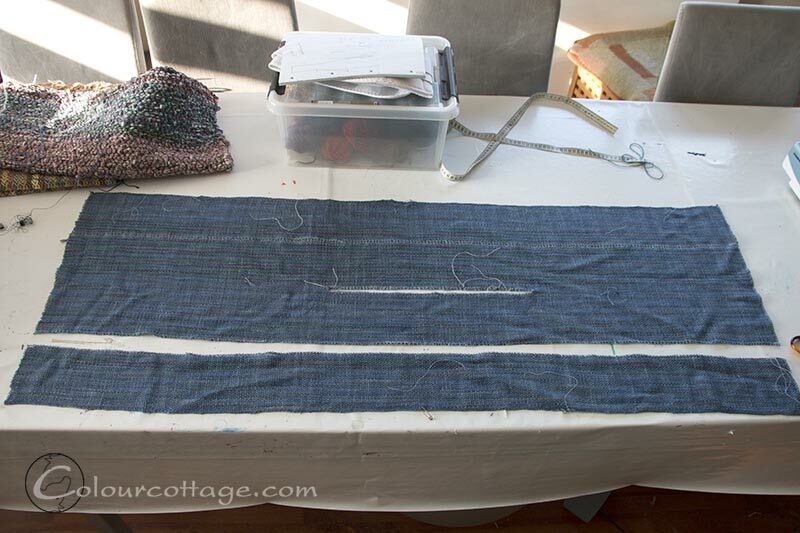 Out came scissors and sewing machine for stay stitching, as I had an idea for widening the fabric using knitted strips. 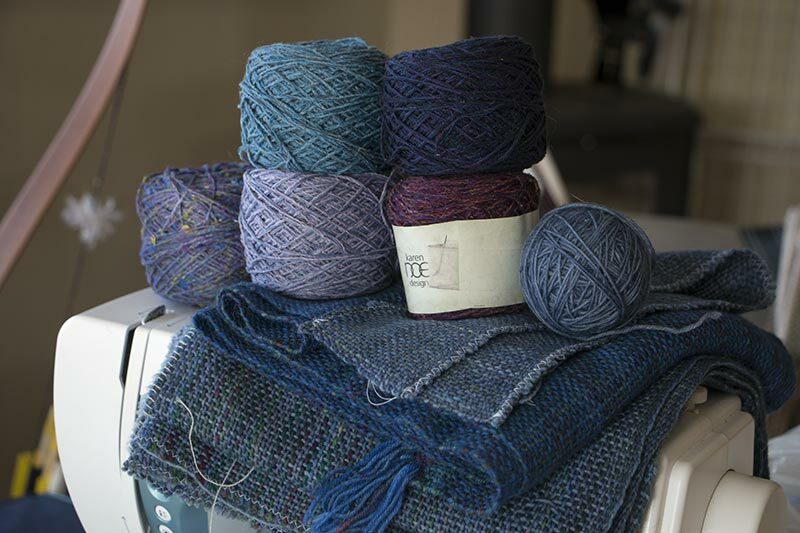 Then I found a selection of matching yarns. 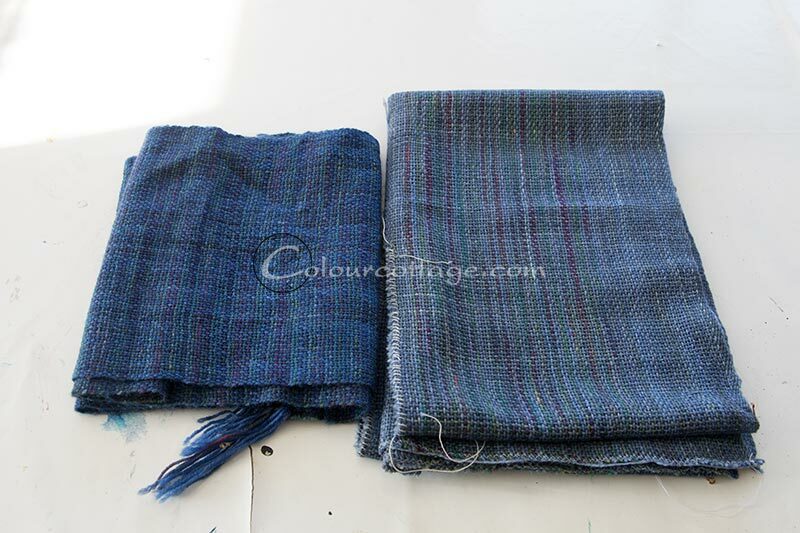 I also had some of that scarf material left which incidentally matched as it was dyed at the same time! Time to ponder. Matching stripes or contrasty? Seam thickness? Straight or shaped garment? 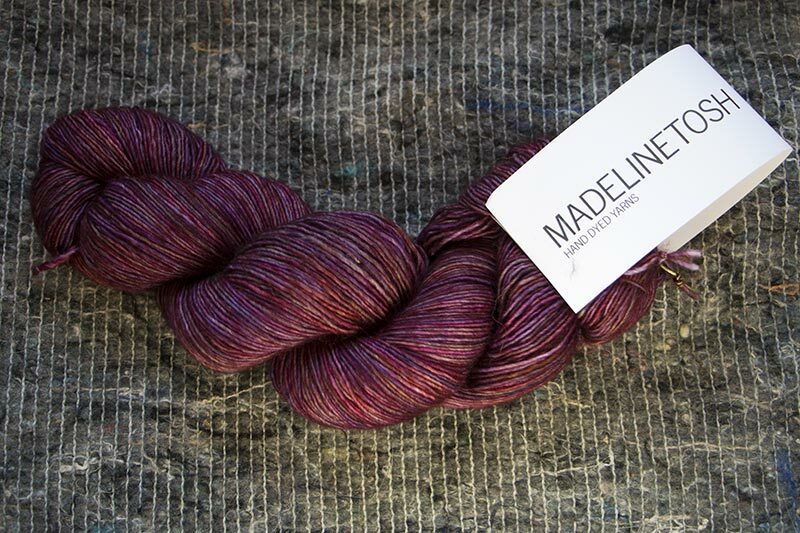 The yarns are silk/cotton, not wool, and I don’t usually blend. And with this I conclude my week of revelations. 😉 Have a great weekend all! Det er en meget fin Bernina som jeg arvede for nylig. Og ja, det ville da være genialt at finde en brugt. This looks very creative problem-solving! I’ll be very interested to see it when finished! I’ve just thoroughly enjoyed reading all your Show and Tell Week posts. 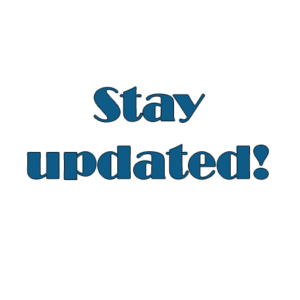 A great idea for a series … fascinating to those who follow what you do over time, and also comforting if one suffers from startitis, where beginning a new project often takes precedence over finishing an old one, as is the case with me. Oh wow, you started with a woven piece and added knitting. I’m so impressed!